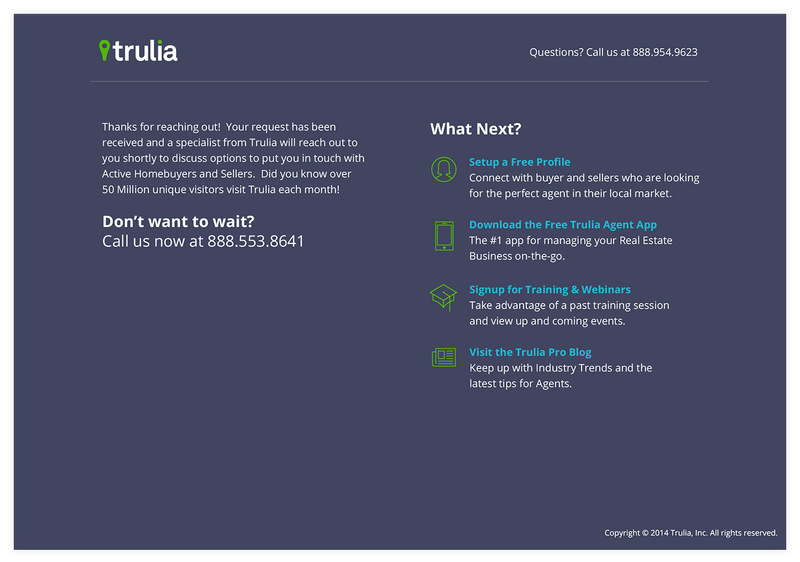 A majority of Trulia agent products are sold through the internal sales team. 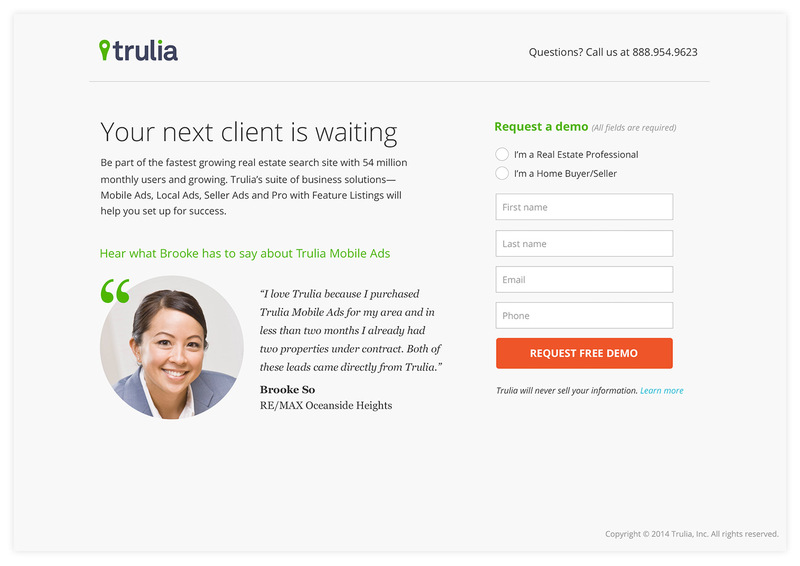 The lead generation page allowed potential customers to have a sales representative contact them to learn more about Trulia products and services. 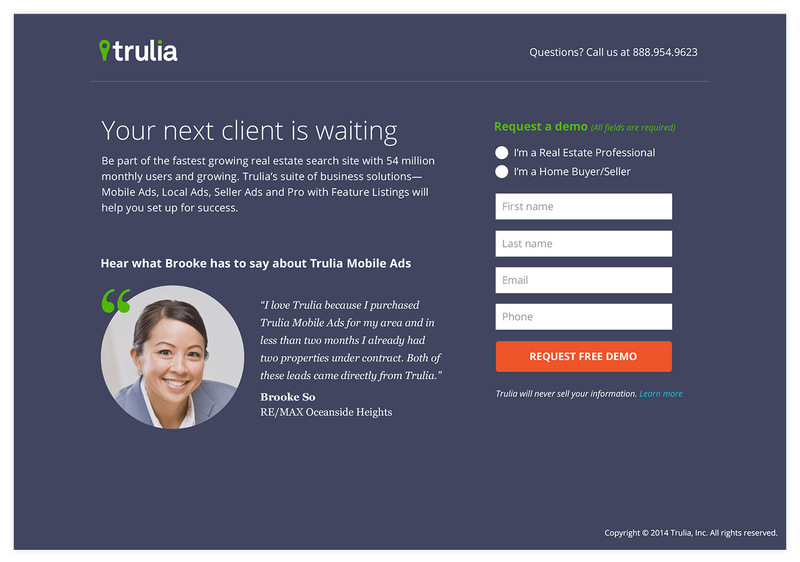 A majority of users who arrived on this page were from paid search and banner advertising, which meant that they could be real estate professionals or consumers. 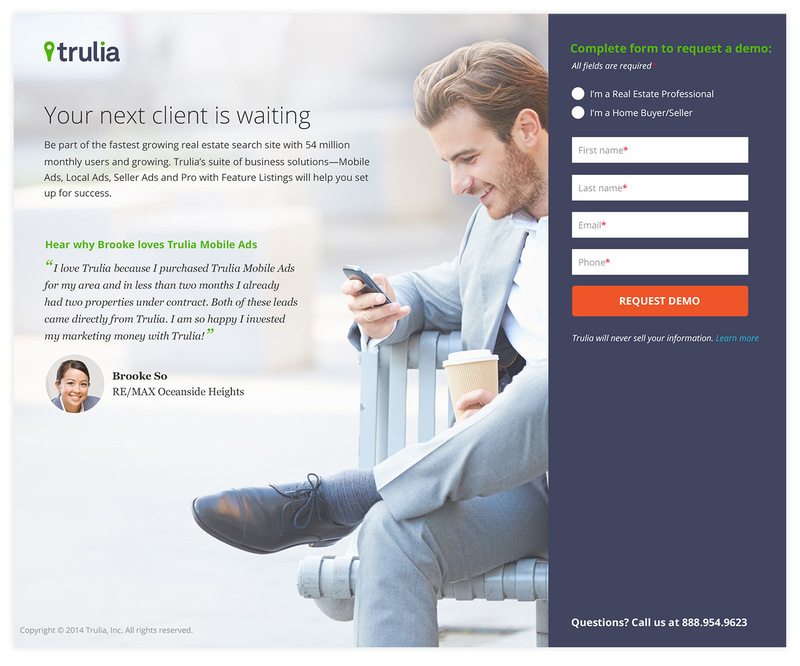 In order to filter out the consumer traffic we needed to create a selector above the form to increase quality of leads to the sales team. Depending on what the user selected either form fields or content with relevant links would appear. There were three primary explorations that I designed for A/B test. Further explorations of the filtering system can be seen in the wireframes.